Oh no. Looking back we see that Israel has made a grievous error. When God chimes in, we see the full depth of their mistake and the consequences that will follow. Take note: these consequences are in essence a promise from God. We immediately see the root of the problem – the people have rejected God. These religious folks only wanted to be religious up to a certain point. They would be great Jews on the Sabbath, but as for the rest of the week, well not so much. As a result they would receive exactly what they asked for and the consequences that would go along with those choices. When a nation collectively rejects God, this is what we get. I don’t know this for a fact, but I suspect there were at least some Jews who did not want a king. Too bad for them. We can assume that their efforts were in the minority and had no bearing on what Israel would ultimately receive. So it is for our nation. Am I suggesting that this First Samuel passage is applicable for today? That’s exactly what I’m suggesting and I can’t find anything in the Bible that undoes the consequences (promises) that God established as a result of our historical desire for secular leadership. But we’re Christians! Jesus is Our King! This is true. But nevertheless, the consequences linger – we have adopted a system of governing ourselves and we are stuck with it. The best men can do is modify this broken system, which in many instances only makes the situation worse; i.e., communism, socialism, fascism, capitalism, etc. At the end of the day, and regardless if we rightfully claim Christ as our king, we will have this earthly leadership, that is, until Christ returns. Then and only then will the kingdom be restored. This is my ordinance and if you oppose it, you’re bringing condemnation upon yourself. I believe God showed our founding fathers some of this mercy when they set out to create a republic that fully recognized God as creator and the giver of rights. As a result, we the people were given access to God-given rights that in many cases the government had previously denied. Just that we could now cast a vote for our leaders was positive, but this system went even further: we could dictate the kind of leader we desired, including his religious affiliations. Naturally, in these early elections, Christians were commonly running against Christians, and therefore Christians commonly won. Is it too late for this country to recover? Can Christians rally to get a solid, evangelical, fundamentalist Christian in the White House to save America? I believe it’s too late, but in the same way that it was too late for Israel way back in First Samuel. Ever since they rejected God and desired secular kingship, the dye was set and rule will not be restored until Christ returns to establish His Government. Let’s go back to Romans 13:1-7. In it we see a brief description of what we and these God-ordained leaders are supposed to do. Do you want to have no fear of authority? Do what is good and you will have praise from the same; for it is a minister of God to you for good. But if you do what is evil, be afraid; for it does not bear the sword for nothing; for it is a minister of God, an avenger who brings wrath on the one who practices evil. Ideally, if we do good (if we obey the laws of the land as long as they’re not in opposition to God’s law), we can live fearlessly. This is of course where Christians have the advantage; if we adhere to God’s Biblical mandates and are persecuted for it, we have the assurance that our eternal futures are secure. Non-Christians have no such promise. The passage goes on to say that these leaders are sword bearers, in other words they are the God-ordained mechanism for protecting the people militarily. So, if you’re pacifist, no worries! God has established a government to fight for your protection; avengers and bringers-of-wrath to evil doers! But take note that while these rulers are servants of God, devoting themselves to this wrath, that does not necessarily mean that they are followers of Jesus Christ or (hold on to your Easter bonnets), do they have to be. Don’t get me wrong. 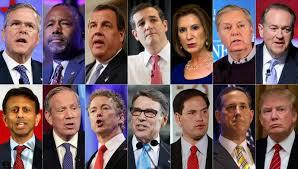 Personally, I want ALL my leadership, from the POTUS to my local town mayor, to be Christian. Why? Because I know that Christians (theoretically) have the same moral values. However, the reality in these United States is that although we have the freedom to vote, we really don’t have the freedom to elevate the best candidates to be elected. That process is pretty much done by the government and as a result, our choices are severely limited. Honestly, sometimes our choices are horrid. Not voting is not really an option and I’ll remind you why: Romans 13:1 says we’re to be in subjection to the governing authorities. These authorities have established laws and our civic privileges, and as good citizens we’re to take full advantage of them. If collectively we refuse to vote, the system will take advantage of our failure and usher in a dictatorship by default. That leaves us with voting for what we’re given, and if we’re not pleased with the choices, we’re to essentially choose the candidate that will do the least amount of damage to our moral structure, national security, economic stability, and personal freedoms. Keep in mind, Billy Graham is not running for president this year, nor is Franklin Graham, Max Lucado, or Greg Laurie. Now this might shock you, but I’m not sure I’d vote for any of those guys anyway. Sure, they’re abundantly equipped in one particular area, but I suspect they fall way short in others. Obviously I don’t know what kind of expertise they would bring to the table, I’m just making a general observation. As for 2016 (and at the time of this writing), the field has been effectively narrowed down to three possible candidates (for me) and my choice (which I have voiced on social media) is not sitting well with many of my Christian brothers and sisters. Actually, the phrase ‘not sitting well’ is being kind. Some of my ‘brothers and sisters’ have become outright nasty over my choice because (I gather), he is the least Christian of the bunch. While they’re hoping to pick a ‘Pastor-in-Chief’ from the group we’re given, I’m leaning towards that sword-bearing, avenger of wrath that God told me about, praying that in addition to keeping the nation secure, he will also serve to protect what’s left of our Christian morality, despite the fact he isn’t the model of Christian morality himself. In other words, through constant prayer, I’m trying to vote for the best overall candidate given the circumstances. I hope that it’s clear that you should vote for whoever you want, but if the last paragraph riled a few Christians up, remember to love others, love your enemies, and behave in a way that is pleasing to God. If you have a beef with your brother or sister, go to them privately and try to settle it, keeping in mind that every player in this next election has a log in their eye, skeletons in their closets, and a penchant to sin. Are you a fisher of men? 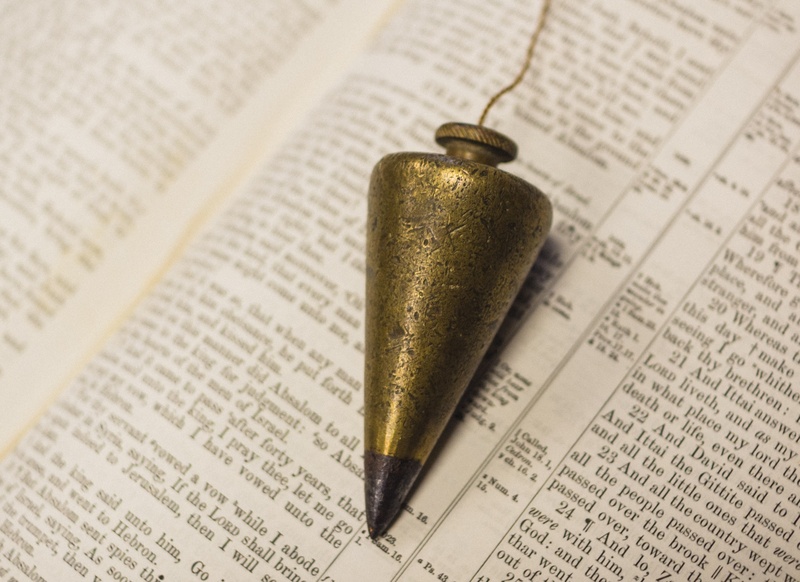 There are many ‘plumb lines’ in God’s word; those verses that we can use to decide if we’re on the right path, spiritually speaking. One of my favorite plumb line verses is Matthew 11:30 where Jesus tells His disciples, “My yoke is easy and my burden is light.” If a Christian finds that ‘light and easy‘ is not characteristic of their walk with Jesus, he immediately knows something must be askew. Matthew 4:19 is another one of those verses. If you’ve been a follower of Jesus Christ for a reasonable amount of time, God’s promise to you is crystal clear – He will make you a fisher of men; i.e., an obedient Christian whose will is in line with Christ’s for saving souls. What is the implication if you’re not a fisher of men? Well that’s clear too – you’re not following Jesus as closely as you think you are. I am not saying that you’re not saved. That could be the case, but that’s not what I’m saying here. That’s between you and God. I’m merely pointing out that if you’ve been a Christian for a while and you’re not an active (regular) participant in the sharing of the Gospel message in some way, shape, or form, you’re either not following Jesus close enough or you’re just plain ignoring Him. If that comes across as an accusation, please don’t become angry or defensive, for if you have concluded that Jesus has not fulfilled this promise in your life, it’s very good news and one of the reasons we find these golden nuggets in the Bible. As we read God’s word, we stumble upon these occasional checkpoints and they give us pause, or at least they should. Some of us read them, make a nanosecond determination that we’ve fallen short in our Christian duty, and quickly move on to the next verse. That of course isn’t helpful. Please know that these are not tests that God puts in our path that we might fail, but rather brilliant lights that show us where we may or may not need improvement. So, if you’re not a ‘fisher of men’ then rejoice! You’ve identified an area of your Christian life that needs attention and more importantly, you know Who to go to, to remedy the situation. Confess it and submit yourself to becoming what Jesus has promised to those who follow Him. Two things: You have my vote and I’m not happy about it. That last comment deserves an explanation. I’m not going to sit here and jot down all your character flaws. 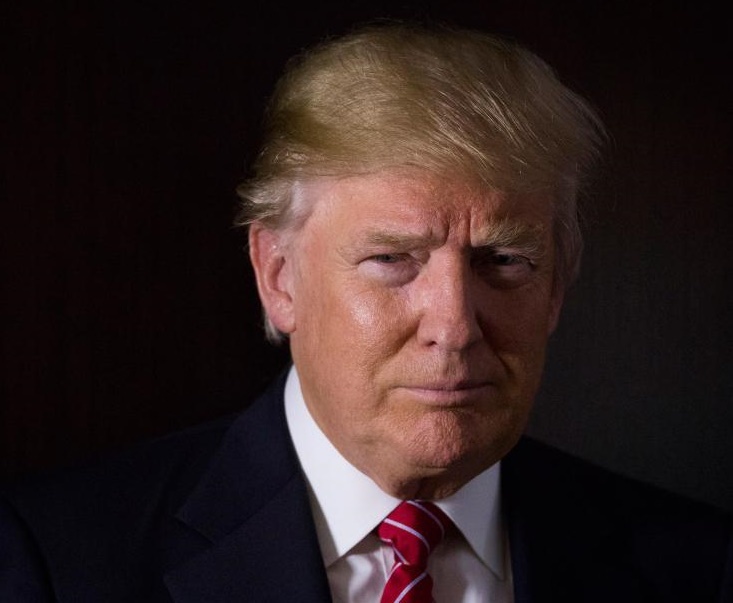 You know who and what you are, and I suspect that your defense might be that what some see as failings are the very things that have gotten you as far as you have, and they have in fact brought you to this national platform where you could become the next president of the United States. I would say that you shouldn’t discount God in this equation. The Bible says that God causes His sun to rise on the evil and the good, and sends rain on the righteous and the unrighteous (Matthew 5:45). It’s the Lord who gives and takes away (Job 1:21), and He does so for all people. God blesses those who believe in Him and those who don’t, but what many people do not know is that those blessings cease for the non-believer as soon as their last breath is expelled. Excuse my directness, but those statements are false and they show a lack of understanding of the Christian faith. I am telling you these things in love. If your claim of not needing forgiveness is true and that a person can earn a ticket to Heaven through their own good efforts, then God had His son Jesus brutally murdered on the cross for nothing. If your claim of not needing forgiveness is true and that a person can earn a ticket to Heaven through their own good efforts, then God had His son Jesus brutally murdered on the cross for nothing. You might be interested to know that Jesus did not tell His followers to go out and share the Gospel message to make converts to Christianity, but rather to make disciples (students) of Christ. It’s through discipleship that we come to know Jesus in a fuller way, whereby He will change us for the better, thus making us better equipped to serve Him. Not only will He replace our character faults, He will replace them with better things; things He can use to accomplish His good will and purposes. Mr. Trump, I am going to vote for you because I see through all the negative issues and see a bunch of positive attributes that will help to get our nation back on its feet, but at the same time I know that Jesus Christ must be part of this equation, otherwise we are merely building a nice house upon a foundation of sand – it might look good for a while, but in time it will crumble. That’s not my opinion, that’s God’s word. Because of your occasional foul tenor and errant theology, some of my Christian friends have abandoned you, Mr. Trump, while some higher-ranking, Christian folks have opted to bash you rather than help you. That is to their shame. What I see in you is someone who has identified themselves with Christ Jesus and is in need of some wise, Biblical counsel. I am no theologian, Mr. Trump, nor am I a pastor. I am just a follower of Jesus trying to be obedient to His commands the best I am able and of course, with His minute-by-minute help. Mr. Trump, if nobody else in the global, Christian church will step up to get you on the proper and narrow path, then I hereby volunteer. I will meet you anywhere, at any time, and on my dime to have just a few moments of your time. I’m not bragging, but God has blessed me more than I deserve and I will gladly spend whatever it takes to have this most important conversation with you. I am genuinely concerned for you and for our nation and believe we need to have this critical dialog. Yes, I do understand that the likelihood of Donald Trump ever seeing this blog is incredibly slim. For that reason, I am in prayer. I am confident that God is going to do something, I just don’t know what it is. My only recourse is to jot down a few words and pray for God’s will to be done. If you’re on the same page as me (and have read this far), please share the blog and pray for Mr. Trump, the POTUS, and the leadership of this country.